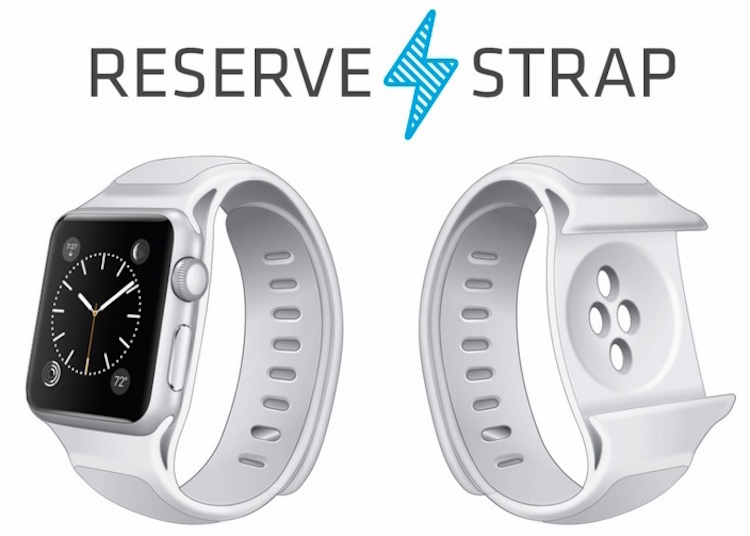 Remember the Reserve Strap for the Apple Watch that can extend the battery life of the smartwatch by 150%? Well, it looks like the Cupertino company isn’t very happy about it and has disabled it via a software update. Back in March 2015, Reserve Strap announced that its strap has embedded batteries, and using the magnetic port for watch straps, it is able to recharge the watch, giving it up to 150% of extended battery life. Sadly though, with watchOS 2.0.1, Apple has blocked Reserve Strap from utilising the “secret port”. “For the time being, Apple has suspended the use of this port until they unveil an official MFi program for Watch.” – Reserve Strap wrote in a blog post. In the mean time, Reserve Strap has suspended shipment of orders to customers with updated Apple Watch until Apple officially supports development of smartbands. For customers who are running on older versions of watchOS, they will ship Reserve Straps as planned in the coming weeks. The battery on the Apple Watch now lasts about 24 hours with normal usage. Reserve Strap says that its strap has given users over 150% extended and in “many cases allowing users to keep their Watch charged for up to a week”. Apple is rumoured to announce the Apple Watch 2 at WWDC 2016, which will be happening in about two month’s time, so let’s keep our fingers crossed that the Cupertino company has something great to offer because charging your watch every single day is a chore.